Esarfa lunga din matase sintetica, flori albastru cu verde pe fond visiniu. Tivita manual. Semnata pe colt. Masuri: lungime - 121, latime - 26. Dimensiuni medii. 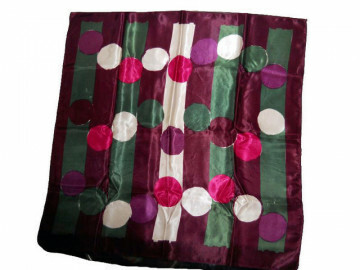 Despre: "Vera Neumann (1907-1993), primarily a scarf designer, was a wonderful colorist with great graphic style. 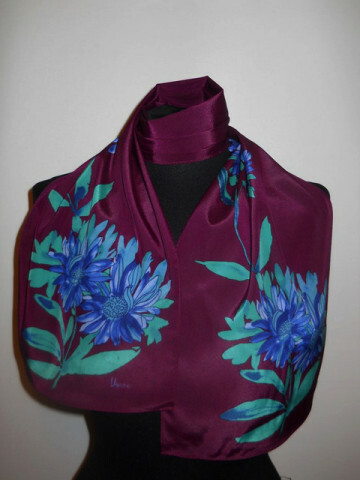 She signed her textiles Vera. 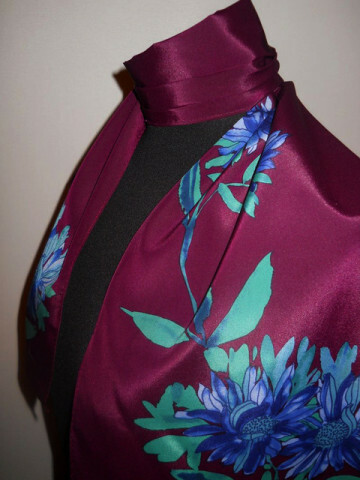 Her fabrics are also seen in blouses and dresses from the 1960s and 1970s, using silk as well as cotton. Vera also designed textiles for the home, such as napkins and tablecloths. 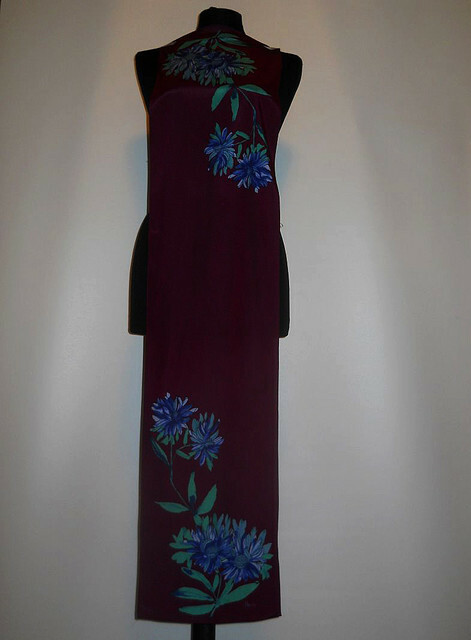 The Vera label is seen starting about 1947. Here is a timeline to help date Vera scarves using the signature printed on the scarf. 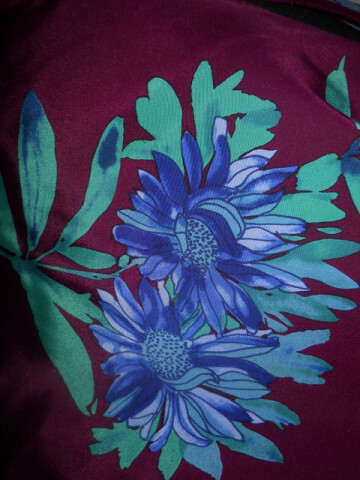 1947 to mid-1950s: The earliest scarves were signed vera in a very small print. All the letters were lower case. Late 1950s- The Vera signature became capitalized. 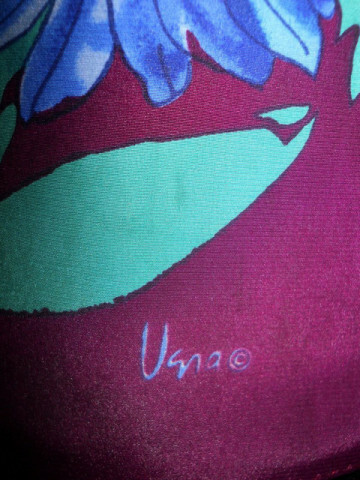 Early 1960s: The ladybug symbol and © copyright symbol (registered 1959) were added to the Vera. The signature and the bug were about the same size. Mid- to late-1960s: The ladybug was used less and less, and the signature got larger. The ladybug became much smaller than signature. Early 1970s: The Vera signature continued to get larger and bolder. Usually no ladybug. Mid-1970s: Bug sometimes present, but disappears totally after 1976. Late 1970s: Signature started to slightly shrink. 1980s: Smaller signature with © copyright symbol.